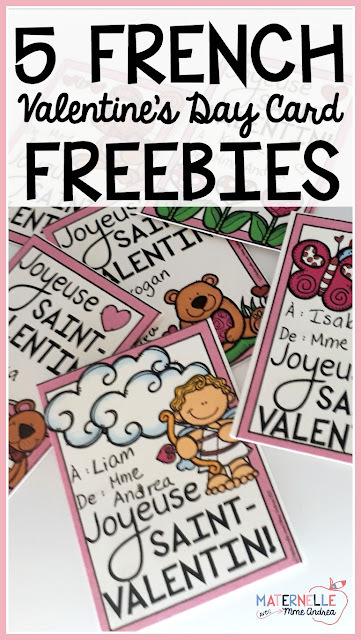 Maternelle avec Mme Andrea: FREE French Valentine's Day Cards for Everyone! 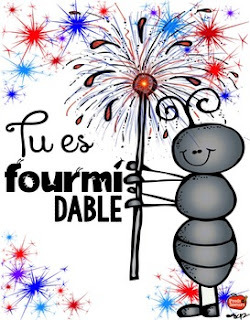 Happy New Year, fellow teachers! It's hard to believe that 2018 is here, and I am celebrating my 3 year TPT-iversary. Crazy! I am heading back to work in just two sleeps after a short mat leave (my partner is taking the rest of the year off), and I am looking forward to having lots of things to blog about again! Even though it's only January 1st, I have already been thinking about Valentine's Day. As I'm sure I've mentioned before, I am a super Type B person who generally flies by the seat of my pants... but that doesn't mean that I don't like to *try* and get my stuff together and plan *some* things out. One challenge that I seem to have every year is getting my Valentine's Day cards ready in advance. 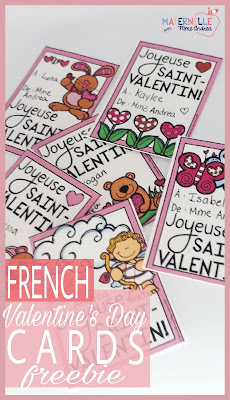 Yup, I am totally that teacher who is scrambling to write them the morning of our class party ;) I live in a French minority community, so there are not really ever any French Valentine's Day cards available for purchase in stores in our area. Since I just print them out myself and don't need to worry about buying them in advance, this leads to me leaving them to the last second. But, it always ends up being a stressful race against the clock, and I don't want that to happen to you! 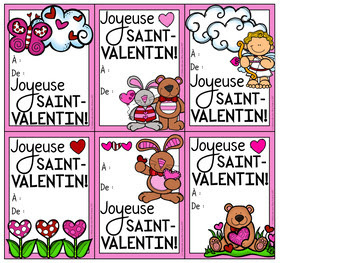 If you can't find French Valentine's Day cards in stores in your area, either, no need to worry! 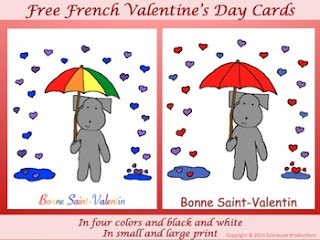 There are a variety of French TPT authors who have made their own French V-day cards, and have them available for FREE (including me!). 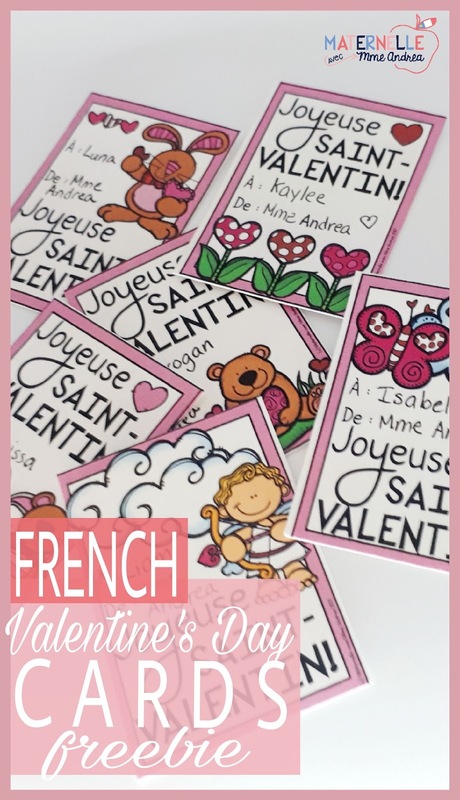 Here is a collection of six different card options that you can give to your French students this year! Just click on the image for each resource to be taken to where you can download it for yourself! I threw these guys together last year on February 13th. Yup - February 13th!! So you were probably already done your cards by that point and may have missed them ;) I love how they look all printed out! 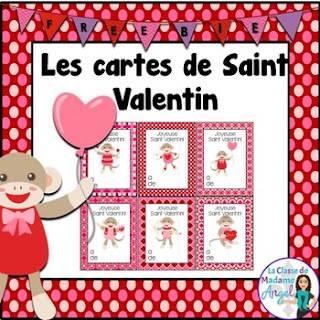 You can also find my cards in my FREE French Resource Library, if you're a member. If you aren't a member yet and want to be, just enter your name & email below, click the pink button, and I will send you an email with the password and access instructions! I love the adorable sock monkey on these cards! This set is a great option if you don't have access to coloured ink - there is a black & white version, too. 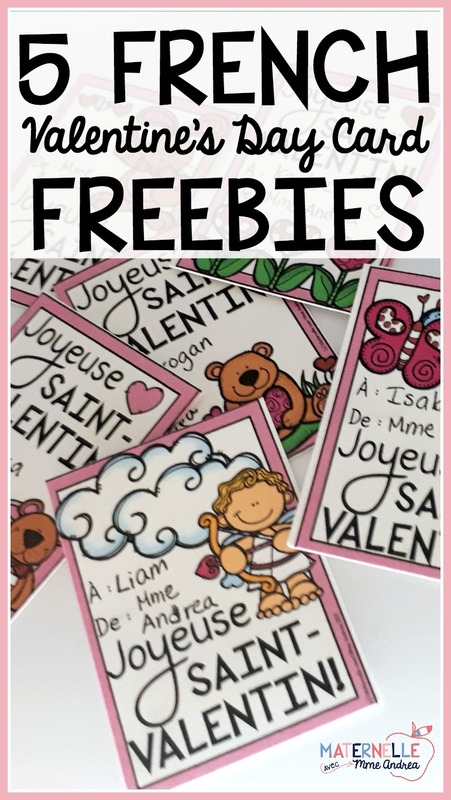 You can print them on coloured card stock and they will look great! These cards come with different size, font, and colour options. 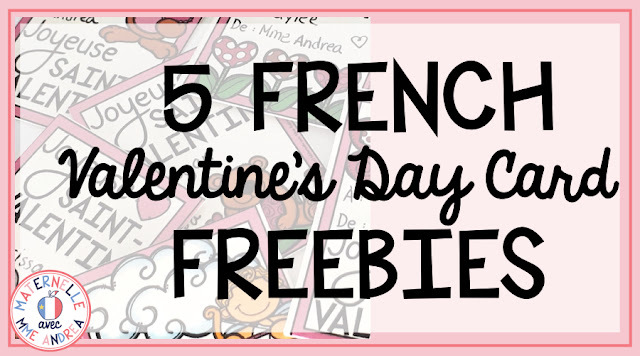 These aren't cards per say, but you can totally use them as such! 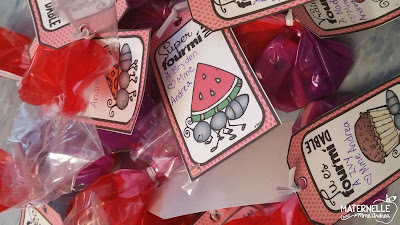 I love how your students can colour them in themselves and that they serve a purpose after Valentine's Day as well. 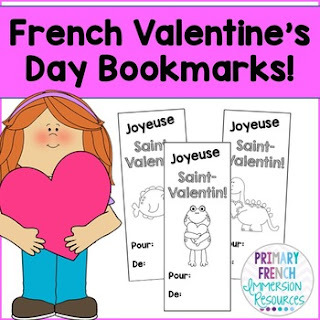 Check back soon for some more ideas and resources for Valentine's Day!